SAN BENITO — Plans to bring an $11 million aquatics center here have dried up. A split vote led city commissioners to pull the plug on a developer’s plan to finance the proposed 7-acre water park that included an enclosed competition swimming pool and two water slides. The project was to have been located at the city’s new 18-acre South Park off South Sam Houston Boulevard. As part of a financing plan, the city would put no money down, using the water park’s revenue to pay off the debt, developer Damian Guevara, with McAllen-based Avery Resource Consultants, said. Earlier this week, Mayor Ben Gomez and Commissioner Carol Lynn Sanchez voted against the proposal while Commissioners Esteban Rodriguez and Tony Gonzales supported it. Commissioner Rene Villafranco was absent from the Tuesday meeting. Yesterday, Rodriguez, who proposed the project, said he believed the water park would generate revenue the city could use to lure more business to town, sparking the economy and generating revenue to fund street repairs and utility upgrades. Guevara requested the city issue a non-binding memorandum of understanding to go ahead with plans for the project. Under his proposed financing plan, the city would use projected revenues of $840,000 to pay off an annual debt of $620,000 over an approximate 25-year period, Guevara said. He said the water park with a capacity for 500 people would draw revenue through $5 and $6 admission fees and swim team tournaments. 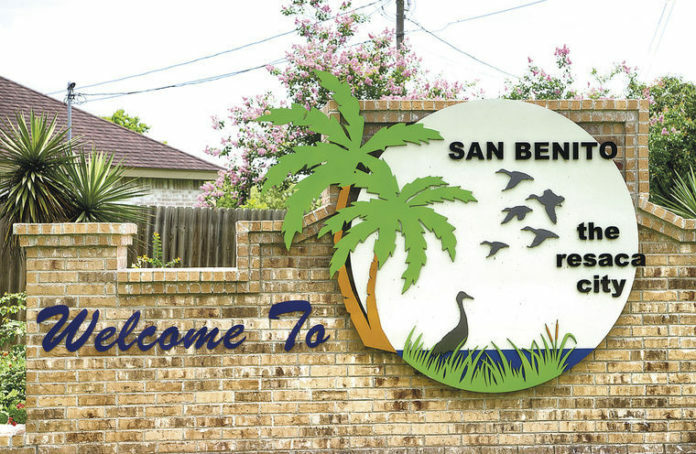 Rodriguez said a proposed partnership with the San Benito school district could help field a swim team. “I’d like to see the details in writing to see if it even works,” Morado said. But Guevara requested a memorandum of understanding to provide further details. Meanwhile, Gomez and Sanchez questioned whether the water park could generate projected revenues from area residents within a 30-mile radius of the city. “Eleven million dollars for a 500-capacity park doesn’t seem reasonable to me,” Gomez said. Rodriguez called for a workshop to further discuss the proposal. But commissioners decided to cast their votes. Last month, Rodriguez introduced residents to the proposal at a town hall meeting. While some residents called the project a catalyst to spark business growth and draw tourist dollars, others expressed concern the city could raise water rates to help fund operations.